HOW to Get FREE Product Samples from China! It’s Friday and time for our weekly Reader’s Question blog post! If you haven’t already figured it out, in these posts I publicly answer questions sent in by my blog readers. So if you have a topic you would like me to cover in a future post, please get in touch with me via the contact form on this page. Let me tell you – your blog is AMAZING!!! I have been staying up late nights over the last week to read all of your posts. So thanks a lot for doing this! I will be purchasing your Easy Auction Business course tomorrow. I have an urgent question though – I’m in the process of dealing with a few suppliers on Alibaba and I have read in your posts that you should always get samples first, before placing a real order. So my question is – what is the best approach to get this done? How do I ask a supplier for samples? Do I have to pay for these? What is the best way to organise shipping and customs? Thanks in advance and keep up the good work Andrew! Thanks for your email & questions Betty. This is actually a topic I’ve wanted to cover in more detail for quite some time and your question is the perfect reason to finally do so. When we talk about product samples, we usually refer to ONE unit/piece of a product you’re interested in buying. So for example – if you’re sourcing shoes, you would get one pair of those shoes as a sample. But it doesn’t mean that you have to settle on just a single sample. There will be products that have different colours or specifications/features. In cases like these, you’ll want to get one sample for each product variation you plan on importing. Also, if you’re dealing with very small and very cheap items (stickers for example), you can actually ask for duplicates of the same product to be sent – that way you can test them extensively in different applications. 1) You want to SEE the products in real life! Actual images can be misleading, never mind those suppliers who don’t even bother using images of their own products anyway! For example, in the clothing industry, many Chinese suppliers copy images from Western product catalogues. That’s why it’s so important that you get samples in, so that you can actually see, feel and test them so you know what kind of quality to expect and aren’t disappointed when your actual order arrives. 2) Ordering samples is the simplest way of verifying a supplier. By arranging samples you’ll be able to see how well they communicate, how fast they ship out orders, how well they package them etc. etc. Think of samples as not only a trial for the product, but also the supplier! 3) Samples are very valuable when it comes down to NEGOTIATING price and MOQ! It also helps in building your relationship with a supplier – if you order samples, they know that you’re serious about this and your interest in dealing with them is very high. This may not seem that important to you but imagine suppliers who deal with dozens and hundreds of requests/quotes every day – most of which end up without an order of any kind. So if you’re serious about making your importing business work, always, ALWAYS order product samples before you do anything else. In fact, I can’t see a single good reason not to order samples! This will vary from supplier to supplier as well as the cost of the product you’re importing. Cheap products (worth a few dollars) are usually FREE! At the end of the day, every supplier is interested in getting new clients and the actual cost to them is very little. Often though, this FREE is relative as you’ll have to pay for shipping costs (more on that in a minute) and sometimes a supplier will simply over-charge you slightly on the shipping cost in order to cover the sample. But in general, cheap products are usually free. 1) The supplier charges you the same per unit price that you’d pay in your actual, large quantity order. 2) The supplier charges you a higher, usually RETAIL, price for the sample. The first scenario is what people always expect, as it seems pretty fair. However, I often get emailed by people outraged that a supplier is trying to charge them MORE for the sample. BUT it’s completely normal practice and in my opinion perfectly justifiable – after all they are manufacturers/bulk suppliers and they don’t want to waste time with retail customers trying to get a good deal on a single quantity order. So if your supplier asks a much higher price for the sample, don’t automatically assume that something dodgy is happening. BUT you should still ask them to credit this overcharge back to you when you place your first real order. This is something that any decent supplier will happily agree to (in fact most do it by default). That way if you do decide to deal with them, you’ll get the extra money you paid back. You and I know how important it is to BRAND your products with your own logo and/or packaging. But what about samples – can you get your branding put on samples too? There are fixed costs associated with any branding procedure – be it screen printing your logo on to the product or creating a custom designed box. With large orders these costs are offset by the volume of your order but with samples, it’s simply not going to be cost effective. Obviously, if you want to get your sample branded, most suppliers will agree to do this – but you’ll have to pay for it! And it could cost anywhere from £50 to several hundred pounds, depending on how complex the branding procedure is. So for the vast majority of people, this simply isn’t an option. How to organise shipping for samples? Anything that is below 20-30kg and not too bulky, should be sent vandrewia a courier service, like DHL, TNT, FedEx, EMS, UPS. If it’s a very small, lightweight – envelope style product, you could also ask the supplier to use China mail service BUT it’s not trackable and delivery can take up to 30-60 days. So it’s very, very slow and unreliable. Courier shipments on the other hand arrive in 3-6 business days to most countries and are fully trackable online. If you’re dealing with very large, heavy products, such as some kind of special equipment or large furniture, then the only cost effective shipping method is sea freight. I’ve covered that process in detail in my shipping from China post. Who should organise shipping – you or the supplier? Theoretically you can organise the courier yourself, BUT in reality there’s no point in that at all as it will be much more expensive and also more time consuming. Keep things simple and let your supplier arrange the courier and just invoice you. So simply give the supplier your full address for delivery and ask them to find the cheapest courier quote they can get. It really doesn’t matter which courier company they use – DHL, TNT, FedEx etc. – some will be faster than others (by just a few days) but in general they’re all equally good so just go with the cheapest price. How to pay for samples? There will be some rare situations when you don’t have to pay ANYTHING! I’m talking about very small/cheap products where supplier is even wiling to cover the shipping costs for you. It has happened to me several times when a supplier is really eager to get new business in. But usually, you’ll have to pay for either the samples + shipping or shipping alone (if the samples themselves are free). As I said, sometimes suppliers will say that samples are free when in reality they work the product cost into the shipping quote. It’s hard to verify this though as you don’t know exactly how much the shipping actually costs them. Generally though you should try to be aware of overly high shipping costs as some suppliers seem to make a nice profit when sending samples by adding their own margin onto the shipping fee! For example, if it’s a DVD sized jiffy bag, shipping won’t be more than $50 (usually less than that) so if they quote you $100 for shipping, it’s a clear sign they’re trying to make money out of this. With bigger items it’s hard to give any definite pricing so the best thing to do is get quotes for sample shipping from 2-3 suppliers so you can compare them against each other. If the price looks too high, simply ask the supplier why they’re charging so much when other suppliers are offering a sample at a much lower price. Payment method wise – PayPal is the most popular way of paying for product samples. Most suppliers will accept PayPal, at least for samples. If they don’t, they usually take wire transfer or Western Union instead. Wire transfer is somewhat expensive and slow for samples but it’s a workable option if you don’t want to consider Western Union. YES, WU is usually associated with scams but for samples, it’s actually ok to use it as it’s quicker and cheaper than wire transfer. Of course I’m saying this under the assumption that you’ve done all necessary supplier verification, and are not dealing with branded or high risk items. But ideally just stick to PayPal and you’ll be fine. In most cases you won’t have to worry about this at all. Most samples are sent as “commercial samples” with very low value and won’t incur any extra charges at customs. Obviously, if it’s a big, heavy box coming from China, it may draw special attention and you may get charged import duty and VAT. But even if this happens, you won’t have to handle the customs clearance procedure as your package will be delivered by a courier company. The same courier company who is handling your shipment will also deal with customs and simply invoice you for import duty/VAT plus a small processing fee, usually around £10-£20. Can you get scammed when ordering product samples? Yes, just like with any order! BUT if you carefully select suppliers to deal with, do not deal with branded/high-risk items and pay for samples via PayPal OR directly to the supplier’s bank account then the chance of you getting scammed is very, very slim. Just think about this from the scammer’s point of view – WHY scam you at the sample ordering stage when they can scam you for a much larger amount later on? It just doesn’t make sense from their point of view either. I’m not talking about branded mobile phones and similar items from HK – they’re a scammer’s paradise and they’ll try to take money from you at every opportunity. They may even scam you several times during sample shipment – e.g. sending fake tracking info, then asking for additional custom fees etc. But this post is about “normal” situations, when you import every day, unbranded products from reputable suppliers on Alibaba. And I’m not trying to scare anyone with all this scamming talk – I just want to make sure you realise that while it is much less likely, samples are not scam free and you still need to exercise the same precautions I talk about with every “normal” order. I really hope this guide will be helpful for all those people looking to order their first product samples from China. 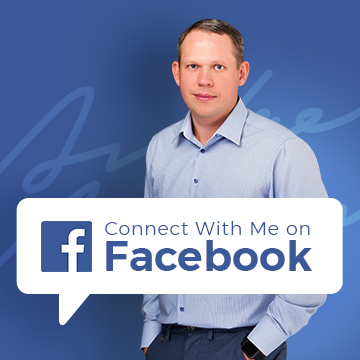 If something is unclear or left out, please leave your questions below this post and I will personally reply to you within 24 hours, Monday – Friday. When you say ‘Of course I’m saying this under the assumption that you’ve done all necessary supplier verification, and are not dealing with branded or high risk items’ – it raised a question about guidance needed on Copyright – obviously the intention is not to get branded items, but what infromation do you have with Copyright violation – so that I can source well. IF there are no patents involved, Chinese companies can manufacture and sell such items, un-branded versions of them – and you can buy them. As long as there are no company logos/trademarks on the product, it’s fine. And product should not be protected by IP – a patent. Just stumbled upon your website/blog for which I’m glad I did! I am trying to find whether you have written a post in regards to contacting a chosen supplier after samples have arrived and been inspected/tested? I’ve chosen mine after testing the same product from four different suppliers, there are quite a few customisation’s I would like applied to the product, also a re-negotiation on price per unit and MOQ. Any tips would be helpful thanks. I could not find anything in regards to customising an existing product! Have you had prior experience in this area? When requesting samples, should I use a P.O. Box or a physical home address? Does it matter? You should use your physical home address so that courier can make a delivery. Couriers can’t deliver to P.O. boxes. I’ve been chatting to several manufacturers in China, and after lots of chatting about prices, they quote me something like $30-50 for a sample of something that costs $1-5 (mascara and lash growth serum). I asked them why, and they simply said that they will refund this cost when we make our first order. However, what happens if the sample product is very poor quality? We’d have lost that $50… I tried to explain this to the company, that we weren’t willing to pay so much just to get a sample, but they wouldn’t comprimise. What do you suggest we do in this situation? Is that $30 -$50 including shipping costs to you? I want to get a sample of 2 things, some leggings for a baby and a small (100g) sample of hair. They’re wanting $8-15 for the sample (before shipping) I already have an order for 100 pair of the leggings depending on how the sample looks. I don’t want to sink $25 into junky leggings. Any advice on how to get them to understand that? You have to understand that not all suppliers are willing to send out free samples without any guarantees that you’ll place an order. Sample cost is just part of overall sourcing game and if you can’t afford to lose $25 on bad quality samples, maybe this business is not for you. Usually suppliers are happy to credit the sample cost back to your first order, so this is something you can ask. Hey, great article, but I have a few questions still. I’ve been chatting to several manufacturers in China, and after lots and lots of chatting about MOQs and FOB prices and many many other things, they quote me something like $120 for a sample of something that costs $8. I asked them why, and they simply said that they will refund this cost when we make our first order. However, what happens if the sample product is very poor quality? We’d have lost that $120… I tried to explain this to the company, that we weren’t willing to pay so much just to get a sample, but they wouldn’t budge. This happened to me when chatting to about 4 or 5 companies today…. 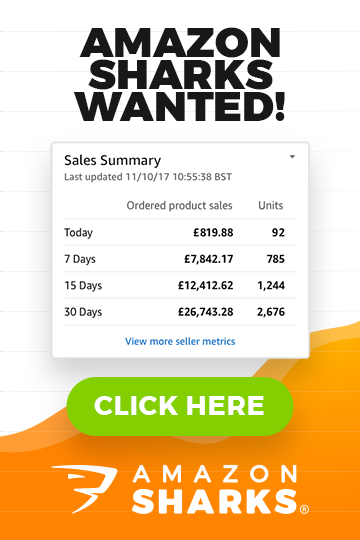 How big is that product? Maybe that fee covered the shipping too? If the product is big/heavy – $120 would be a reasonable fee to cover shipping. You probably won’t pay any taxes on such small, sample shipment. Ask supplier to organise courier/express shipping for you and just add that cost to your sample invoice. Is there a way to get all d samples from different suppliers shipped together to avoid paying shipping for each individual sample. You could do that by using a Chinese based mail forwarding company. But I don’t have recommendations for any specific company for this. You can use any PayPal account you want, it doesn’t really matter. Just to expand on the previous question, when dealing with payment for the sample, is it still legitimate if they are giving me a personal PayPal account to deposit my payment? In your main post about alibaba, you outlined to NEVER pay a supplier into their personal account. Just wanting to clarify and see if maybe these are different circumstances since we’re just dealing with a sample? RE: personal account – I’m referring to BANK account, not PayPal account. It’s very common that suppliers in China use personal PayPal accounts, it’s fine. You’re still protected by PayPal. Have you found some suppliers won’t do anything other than standard UPS/TNT etc? I had been in contact with a supplier for some paper samples ( A4 and <500g at most!) and they would charge me $50 for courier only, and would not entertain a slower/cheaper post method. Bit frustrating, maybe I'm being cheap, but it feels like a lot for some sample paper. I moved onto another supplier, and they are similar tbh. Many suppliers will have contracts with specific courier company and will use only that. Paper is usually bought in huge quantity and sent via sea freight so they don’t really need to shop around for couriers as they use it only for samples.